Berlin’s most famous concert hall, home to the world-renowned orchestra, the Berliner Philharmoniker, is also its most architecturally daring; a marvellous, puckish piece of organic modernism with superb acoustics. The hall, with its golden vaulting roof, was designed by Hans Scharoun and opened in 1963. Over its 120-year history, the Berliner Philharmoniker has been conducted by such figures as Peter Tchaikovsky, Edvard Grieg, Richard Strauss and Gustav Mahler – all elected democratically by the orchestra members. Its greatest fame came under the baton of Herbert von Karajan, who led the orchestra between 1955 and 1989, and was succeeded by Claudio Abbado. 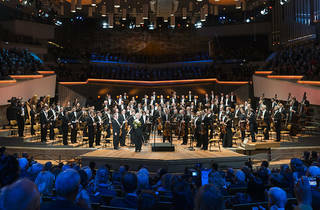 Since 2002, it has been under the leadership of Sir Simon Rattle. 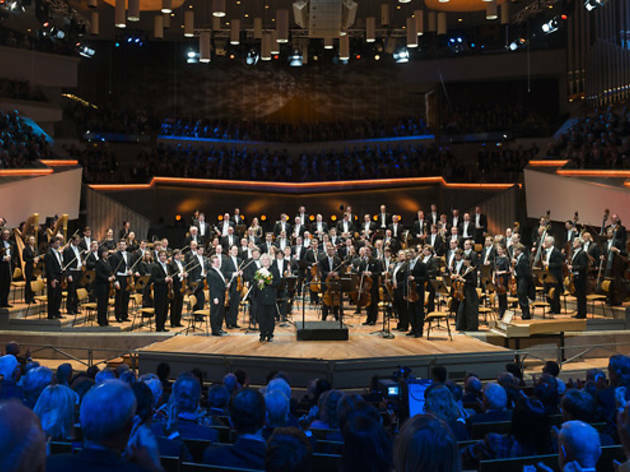 The Berlin Phil gives about 100 performances in the city during its August to June season, and puts on another 20 to 30 concerts around the world. Some tickets are available at a discount immediately before performances.